Books are bad for you! 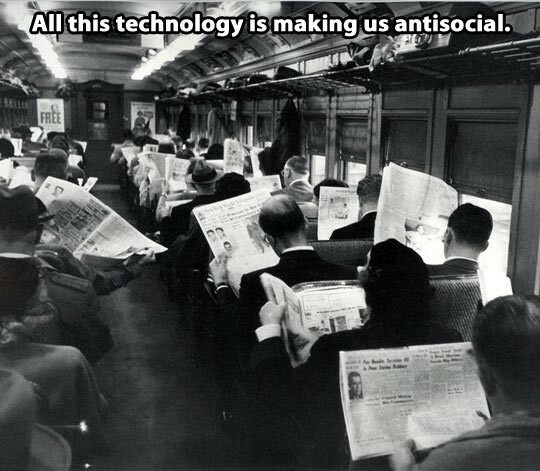 The primary criticism we hear about technological entertainment is that it is ‘anti-social’. I’ve also heard people insist that it makes people ‘less creative’. When it comes to parenting advice it’s hard to ignore the growing idea that ‘Technology is BAD!’. We seem to have a very different view when it comes to reading. It’s not a screen, it’s a ‘traditional’ form of entertainment, and it has a well-recognised link to creative and critical thought. All good, wholesome stuff, surely? I’m not going to trawl the data running pros against cons. Instead I’ll share a very odd encounter I had with my wife’s grandmother. It was a few months ago and both my sons were fully absorbed in activities on separate hand-held devices. I felt the familiar squeamish sense that most modern parents probably feel; my children were ignoring guests in favour of their tech! It threw me into a sharp mental u-turn. She explained that as a child she was often criticised for her love of reading as it was ‘anti-social’. For some it was even seen as a waste of time, many told her that she should be doing something more ‘productive’. In short, she was told ‘Books are bad for you’. She looked at my sons’ use of tech as being equally beneficial to her childhood reading. 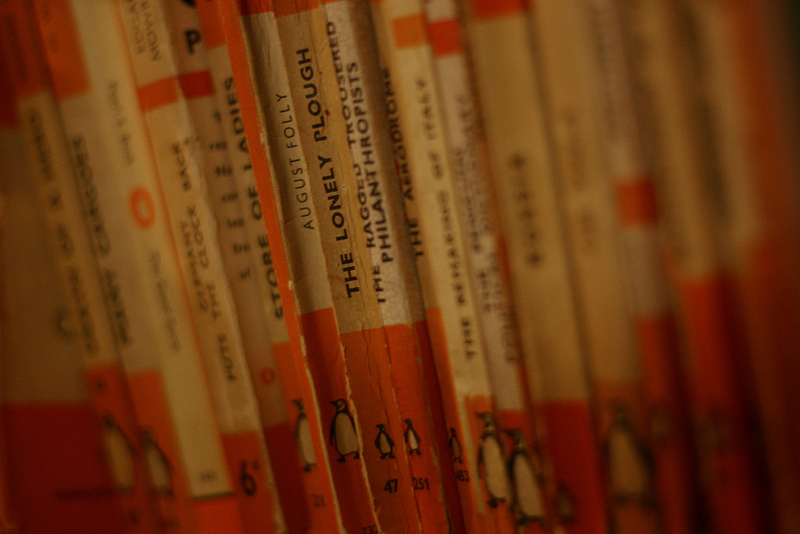 Penguin books began in 1935 and with the help of Woolworths, it pushed the notion of mass-market paperbacks into the public consciousness. It’s hard to speculate what the overall opinion of this new influx of books would have been even decades later but I imagine it would still be quite a new thing to see children in all walks of life sitting reading. Computer games have been around since the seventies but the hand-held game didn’t appear in the mass market until I was a child (the late 80s early 90s). Even then it was only my ‘rich’ friends who had one. They were still a luxury and by no means ubiquitous. Since then hand-held devices have grown cheaper and more accessible. 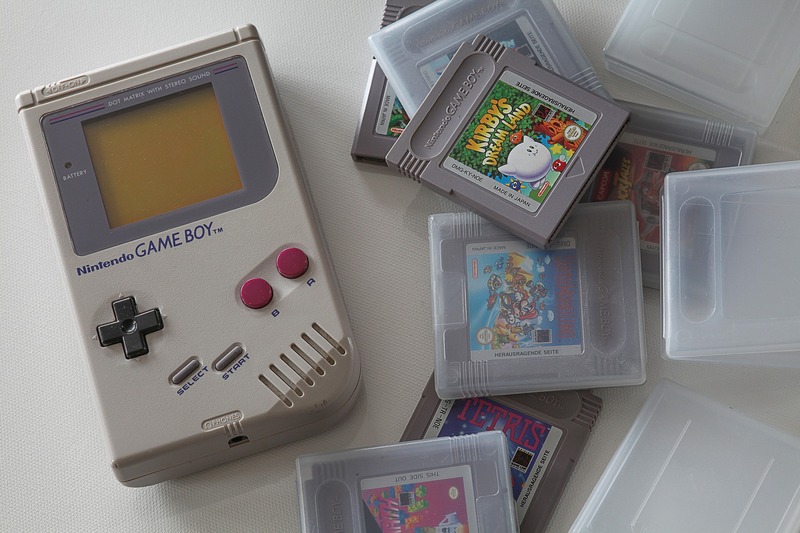 Their capacities have grown more diverse as well, as they come to serve an increasingly social and educational role (Gameboys didn’t let you chat to your friends after dinner, and to the best of my knowledge Mario never helped any of my friends with their homework). This sort of tech has a lot going for it. Even the gaming itself has come to offer more depth, with more demands on critical thought, and on creative energies. Should we be so quick to condemn these glowing rectangles that now permeate our lives? There’s clear evidence that the actual light generated by screens can have a detrimental effect on sleep patterns, but at the end of the day doesn’t all artificial light? Gaming is also known to increase serotonin levels to a degree that can trigger addictive behaviours. This isn’t good and I’m sure I see a degree of this in my own children, but the same jittery, manic effect can be achieved with a big bag of sweets sneaked in by Granny. I’m not going to say screens are perfect (and as an author I obviously have a vested interest in getting people to read books) but I can’t help but wonder if we’re vilifying the tech rather than turning the lens on ourselves as parents. At the end of the day my own interest in my facebook/twitter feed, my blog reader stats, or even my work e-mails, will have its own (fairly large) part to play in any detrimental technological experiences that my children have. 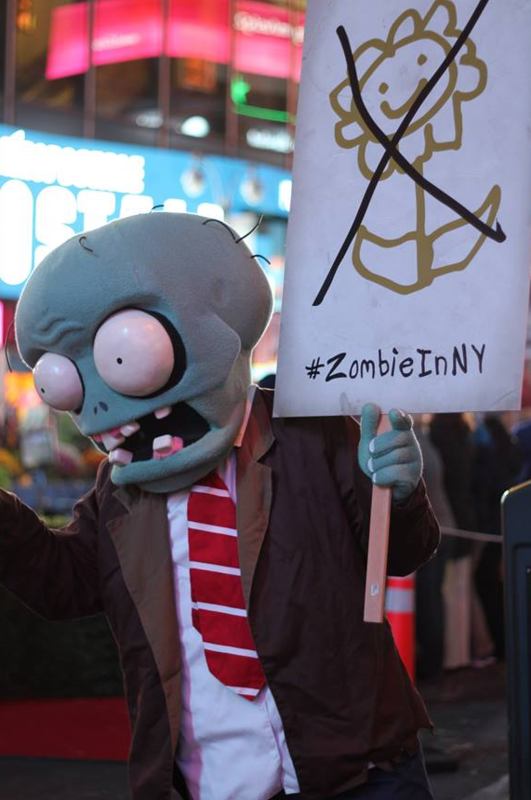 It’s not the zombie in their game that will do them the most harm, it’s the zombie on the couch beside them. He doesn’t demand ‘brains’ but instead insists ‘I can’t just now, I have to answer this e-mail’. It is here that technology does the most harm to a child’s development, and the solution is blindingly simple (though it will make most of us uncomfortable to admit it). Does my out-of-hours attention to my e-mails etc. mean my kids will grow up thinking that they should never have ‘down-time’? Does my own interest in social media make it look like ‘likes’, ‘followers’, and ‘shares’ are of equal importance to real-world feedback? Tech isn’t to blame for this, it’s me. Tech isn’t bad, books aren’t bad, it’s the lack of family engagement and shared interests that does the most harm. I’m off to read with my kids now. 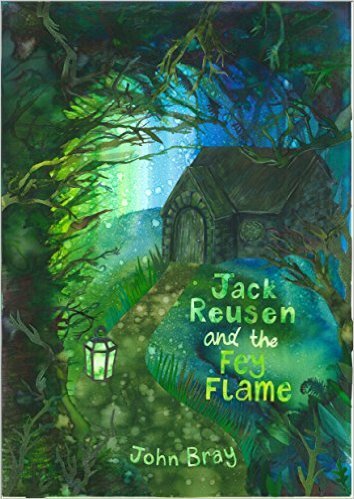 If you’d like to do the same feel free to grab a copy of my book Jack Reusen and the Fey Flame, a fantastical family adventure with were-polar-bears, magical fairgrounds, odd little men who kick heads first and ask questions later, and (of course) a world hidden just behind our own; a world called Fey. As always, thanks for reading, if you have anything you’d like to share about this post feel free to pop something in the comments section below or over on my facebook or twitter profiles (and yes I do see the irony, given what I’ve just said about screens and social media). This entry was posted in reading and literacy and tagged anti-social, antisocial, books, children, development, laptops, parenting, reading, sleep, social media, tablets, technology on 1 December, 2017 by John the Toy Shop Guy. Being immersed in a book is very different to a movie; as events unfold right inside your head, they can elicit much more visceral responses. There’s something so weird (considering you’re just looking at some shapes on a page) but also something completely amazing about the whole process. However, I’ve always run into problems when it comes to thrillers and/or horror stories. On a recent camping holiday where all tech stopped, I decided to pick up a wee collection of short stories based around ghost tales of Scotland. During the day it was an enjoyable read and it helped fuel some ideas for the darker elements of future books. Then night fell, and the family went to sleep, and with wind howling around the tent I made the mistake of jumping back in. The horrors in the stories bled out of the pages and into the inky black night outside the tent. I jumped at the slightest sound. At one point the sound of an inconsiderate passing sheep mutated and left me gulping back bile. It’s safe to say that my imagination likes to run with things at night. As a child reading famous five books the wind rustling leaves in the garden below could be nothing but lurking smugglers or other ne’er-do-wells. In my teens I read alien conspiracy stories and watched the faces of prowling cats distort in midnight lights to become malicious grey aliens preparing to abduct me (or had they already abducted me and wiped my memory?). It took till adulthood for me to realise that a good night’s sleep would not be mine if I read this style of book. All the same I still forget sometimes and once again my mind will reel as the shadows take form and watch me, always behind my shoulder or just at the peripherals of my vision. Slowly creeping closer whenever my attention lapses. I thought I’d be safe when I started reading the next book in Lari Don’s ‘Mythical creatures’ series, but no. There is one component perfectly crafted to leave children uneasy but to creep parents out to their core. Don uses the old myths of celtic ‘Faerie folk’ (also used as part of the inspiration for the Fey folk of my books). However, Don stays closer to the legends as these faeries are far from benevolent; they are notorious stealers of children. Their technique is the worst bit; not only do they take your sleeping child from their bed but they replace them with a ‘changeling’ or ‘glimmer’ enchanted to look identical to the missing child. Your child is gone but you don’t notice, you walk into their room in the morning to find them unresponsive and clearly unwell, then over the next few days this replacement will either ‘die’ or disappear themselves. What’s more is that by now it’s too late for you to claim your child back, as they have now been sentenced to a life in the land of the faerie folk; by eating their food they are doomed to never be able to eat human food again. Even if you somehow found your child and took them home the first bite of human food would turn them to dust. So..yeh…that’s some nightmares for parents right there. The creepiest bit of ‘Wolf Notes’ (Don’s second ‘mythical beasts’ book) so far has got to be a wee boy’s little sister telling her mum that the boy in her arms in not her son but is instead a ‘doll’, a copy of her big brother. Somehow this got me worse than anything I’ve read by Stephen King. 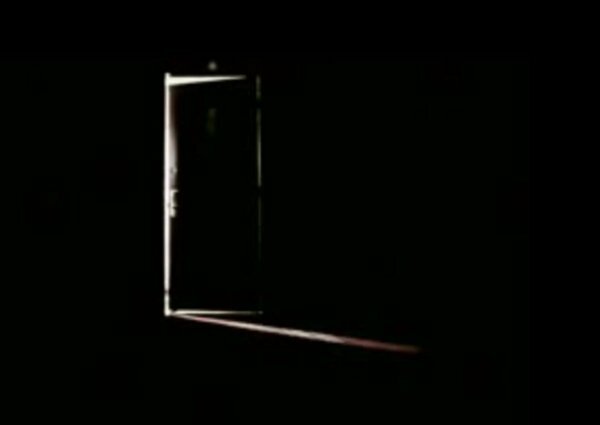 Does horror in books get to you worse than horror in movies/on TV? What hides in the shadows in your house? 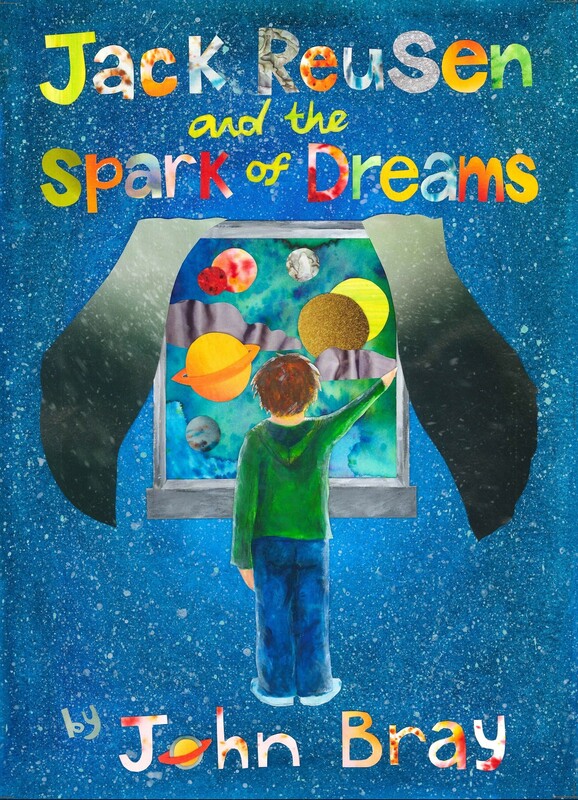 This entry was posted in book reveiews, Inspiration, reading and literacy and tagged books, horror, imagination, lari don, night, nightmares, overactive imagination, reading, shadows, terror on 22 August, 2016 by John the Toy Shop Guy.